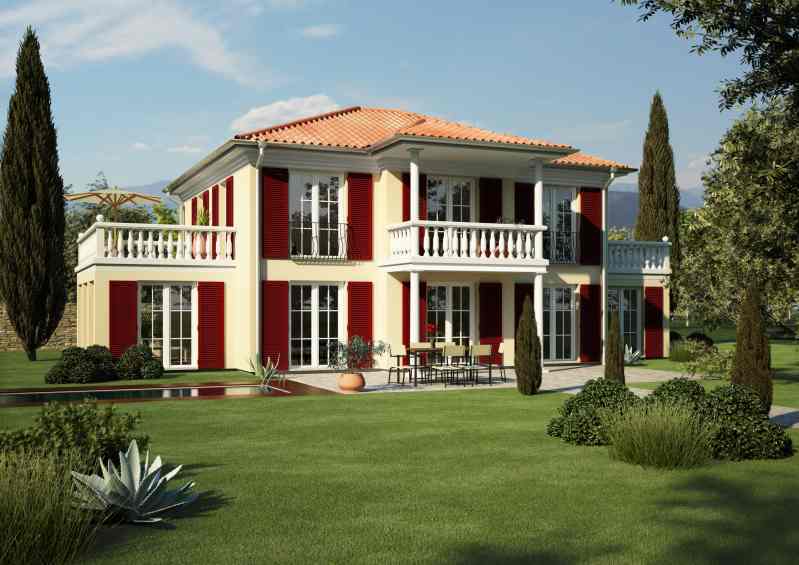 This thoughtful Mediterranean / Toscana style floor plan can be adjusted to your special need and wishes. On the ground floor is the kitchen, dining area with living area and an office that can be also a bedroom or entertainment room. The upper floor consists of two bedrooms - the master with walk in-closet, a large bathroom with bath-tub and the hallway with another living area. Contact us today to build this beautiful villa, to change size, bed or bathrooms or to find the best building lot for it.